My consciousness was sawed off this week. Ever since the global boycott campaign against the settlements got underway, I objected to it and attempted to persuade my friends to avoid any foreign intervention in our situation. After all, I am a Zionist who refuses to forget all those years in which we were a light unto the nations, even if I never lived in that state which used to exist here once upon a time; one with clear borders. I was raised and educated on the notion that a sovereign, Jewish and democratic state in the Middle East is the 20th Century’s greatest miracle. I still believe this. The Swiss who mark settlement products at their supermarkets are the last ones who should preach morals to the Jewish people. Yet 45 years after the glorious victory in the Six-Day War, I realized last week once and for all that the state has lost its ability to save itself from itself. It was the sawing proposal that convinced me. A state that proposes home relocation at the cost of NIS 70 million (roughly $17 million) on the grounds that we must not ignore the International Court of Justice at The Hague, in order to move these sawed off structures to the other side of the hill in Beit El. The same hill that also violates every law associated with that very same court at The Hague, as one learns in any introductory course to international law. And while at it, officials announce “compensation” in the form of hundreds of new housing units in the State of Judea, as our closest allies raise a hue and cry; they have tired of it by now, and who can blame them. And all of this is happening in a state that is home to young people who contribute to and love their state, and who are desperate for affordable housing, yet see tens of millions of shekels earmarked to another welfare state, a Jewish-only one, established in the East. Our state, which funds and curries favor with an aggressive, small camp, has lost its mind, or at the very least has lost control of its bowel movements. In five years, we shall mark the 50-year anniversary of the State of Israel’s being a borderless state. Even Avigdor Lieberman, who heads the Foreign Ministry that characterized South Africa’s decision to mark settlement products as “racism” will have trouble hiding the Israeli hypocrisy on this front: After all, even the broadest, most rightist government in Israel’s history just recently refused, on the prime minister’s directive, to apply Israeli law in Judea and Samaria. I am no longer convinced that we shall return, or be returned, to the Green Line. However, recent weeks have eliminated any need for imagining the price. The State of Israel’s domestic destruction is already here. The connection between the Ethiopian who was beaten up because he was mistaken for a Sudanese and the lack of borders with the Palestinians is one that not many people make during these dark days. 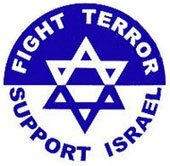 Anyone who criticizes the assailants and racists elicits the much-coveted talkback “leftist,” “bleeding heart,” or worst of all, “Arab.” Yet what is the connection between the many cases of moral brutalization undergone by Israel at this time, which every Israeli feels, every day? What is the connection between throwing a dying Palestinian at the side of the road, like a dog, and another road, in Haifa, where a Holocaust survivor was left to die a week ago? The connection, to those who look a little beyond the immediate headlines, is clear – and it’s hard to blame the new Israeli society for it. What can one expect of the Israeli teen who was filmed hurling an egg on a Sudanese migrant? After all, this teen has been living without boundaries for 45 years. And as wiser people than me have said before, without external boundaries there are no inner boundaries. On the government level, we lost the shame to offer a fully funded relocation to the other, illegal side of the hill in Beit El. This is being done using taxpayers’ money in Haifa, Tel Aviv and Jerusalem while looking straight into their eyes. And all of this is done so that later we shall hear people crying out, a few years from now, that the settlers are being expelled anew every time. This is an urgent plea to the Swiss, South Africans, and especially the Americans – help the sawed off Israelis set their borders. Help us, because as opposed to some fine individuals who are nearing the end of their lives and are recently writing grim columns about the beautiful years we had here, we have many more years to live. We love this place and do not wish to leave. Many members of our generation, who also did not wish to leave, have despaired and are getting away from here; this is much more than a drizzle by now. So save Israel, buy Israeli-made products, and only Israeli-made – the place where Israel’s egalitarian law applies and is recognized. Maybe you, along with the young people who live here, would be able to save the memory of these 19 years of a “Jewish and democratic state” – a Jewish state offering social and political equality to all. The State of Israel.